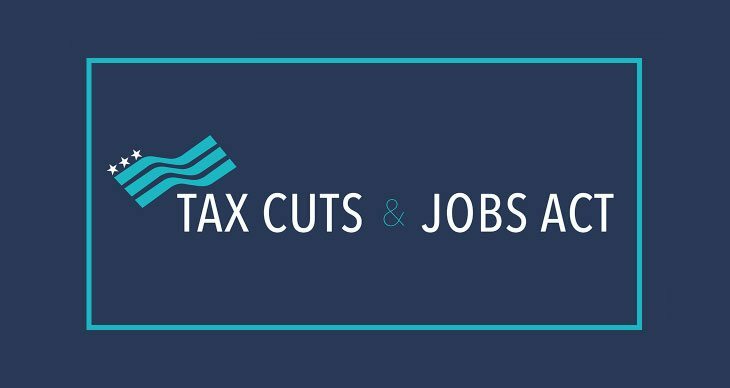 We have shared information on various aspects of the Tax Cuts and Jobs Act in several previous tax tips. The following is a nice refresher brought to us by our Western CPE sponsors which we wanted to share this week. Itemized deductions. Itemized deductions for all state and local taxes, including property taxes, are capped at $10,000. The limit on mortgage debt for purposes of the mortgage interest deduction is reduced from $1,000,000 to $750,000 for loans made after Dec. 15, 2017. Loans made before Dec. 15, 2017 are grandfathered at the $1,000,000 debt limit. The interest on home equity borrowing is no longer deductible in most cases. The threshold for medical expense deductions is lowered to 7.5% of adjusted gross income (from 10%) for tax years 2017 and 2018. Miscellaneous itemized deductions subject to the 2% of AGI limitation are not allowed. Miscellaneous itemized deductions lost because of the new law include employee business expenses, investment adviser fees, union dues, and tax preparation fees. Personal casualty losses are not allowed unless the losses were suffered in a federally declared disaster area. AMT. The new tax reform law temporarily increases the alternative minimum tax (AMT) exemption for tax years 2018 through 2025. The increase in the exemption, as well as the elimination of major tax preferences (exemptions, state taxes above $10,000 and miscellaneous itemized deductions) means that fewer people will be subject to AMT under the new law. Education. The new tax reform law modifies qualified tuition programs - §529 plans. Funds in the 529 plan can now be used to pay for grades K to 12 private school tuition. The above-the-line deduction for college tuition expenses was renewed in later legislation, but only for 2017. The American Opportunity and the Lifetime Learning credits continue to be available.